VietNamNet Bridge - Investors in weaving and dyeing workshops have promised local authorities to discharge treated waste water to satisfy Vietnamese standards, but authorities say they rarely do. Many of the workshops have been caught discharging untreated waste water into the environment. Some of them had been doing it for a long time before they were discovered. Under current laws, the waste water from weaving and dyeing workshops must be treated to satisfy Standard No 175 before it reaches the environment. However, few enterprises satisfy the requirement, while others are not allocating budgets for waste treatment systems. PangRim Neotex in Phu Tho province, for example, had been ‘choking the Red River to death’ for many years. In 2010, the environmental police on six occasions discovered the company discharging untreated waste water to the river. The organic matter and heavy metals in the company’s waste water were all higher than permitted levels. The concentration of suspended solids was 17.8 times higher, COD 19.8 times, BOD5 13.6 times and chromium VI 12.7 times. In 2016, the company once again was caught discharging substandard waste water into the environment, for which it was fined VND456.8 million. The local environment department then told the company to immediately install an automatic waste water monitoring system and camera to transmit real-time figures to the agency. However, in 2018, residents of Ben Got Ward complained to the local authorities that the company was continuing to pollute the environment and asked them to relocate the plant. 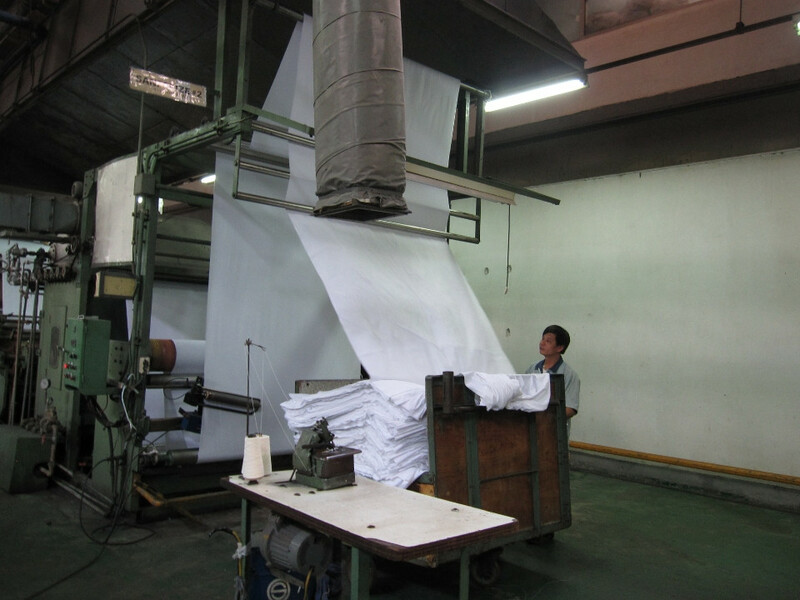 Mei Sheng Textiles Vietnam were also caught discharging waste water illegally seven times and its workshop was sealed off. The Chinese investor built a 1,100 ton per annum dyeing workshop without a license and discharged untreated waste water into Da Den Lake, which provides 90 percent of clean water to Ba Ria-Vung Tau. Inspectors found that the company had used 2,760 cubic meters of underground water, though it did not have a license for underground water exploitation. The Hai Duong provincial authorities imposed a fine of VND672 million on Pacific Crystal in Lai Vu IZ in Kim Thanh district after discovering that its waste water had five indexes exceeding the permitted levels. Later, as the company did not take measures to settle the problems as requested, it was fined an additional VND340 million. Most recently, the Thai Binh authorities, when inspecting six enterprises in Thai Phuong IZ, discovered that the concentrations of suspended solids and sulfur was 3-10 times higher than Vietnamese standards.